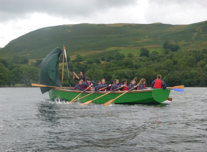 Last Friday saw the return of 43 of our S2 pupils and teachers Mr King, Ms Boyd, Mrs Corsar and myself from a highly successful and enjoyable five-day outdoor activity programme at Outward Bound’s Howtown Centre on the shores of Ullswater Lake in The English Lake District. 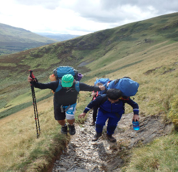 During their trip pupils learnt a great deal about both themselves in terms of rising to a challenge, being resilient and not giving up as well as problem solving, taking responsibility and developing the skills necessary to work most effectively as a team. 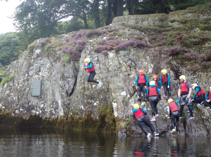 Their Outward Bound course challenged pupils to ‘step out of their comfort zones’ whilst participate in number of activities including rock scrambling, jumping from a high ledge into the lake, open water canoeing, rowing, gorge walking and caving in an artificial cave system. 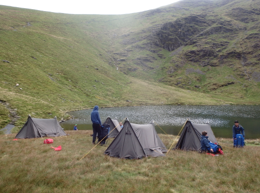 For many the biggest challenge came in the form of an arduous 48-hour expedition which involved trekking into the hills with backpacks and then wild camping or bivouacking under tarpaulin sheets. Pupils also participated in a range of activities which allowed them to appreciate the natural environment they were visiting and engage in some conservation work which involved digging, sowing seeds and erecting a fence to create a wild flower meadow. Resulting from this all pupils have been rewarded for their efforts by successfully achieving the John Muir Discovery Award. 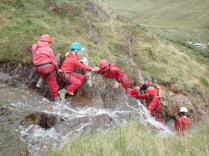 Plans are now underway for the next Outward Bound trip in August 2018 which will be open to all current S1’s. Further details will follow shortly.